Centre d’Études Supérieures de la Renaissance (CESR), Université de Tours. Luca Tonetti has recently obtained a PhD in Philosophy and History of Philosophy at the Dept. of Philosophy, Sapienza University of Rome, discussing a thesis on Giorgio Baglivi’s De praxi medica (1696) and his Hippocratic-Baconian methodology. He received his BA and MA degrees in History of science from Sapienza University. His research interests concern: the 17th and 18th century history of science and medicine, with a particular focus on Italy (Rome); the history of anatomy, and, more generally, philosophy of science. He is member of the Italian Society for the Eighteenth-Century Studies, the International Society for Eighteenth-Century Studies, the Italian Society of the History of Science, and the European Society for the History of Science. Since 2017, he is also Assistant Managing Editor of Nuncius. Journal of the Material and Visual History of Science. In 2017, he has awarded the Santorio Fellowship in Medical Humanities and Science and he is now associate member of the Centre for the Study of Medicine and the Body in the Renaissance (CSMBR). 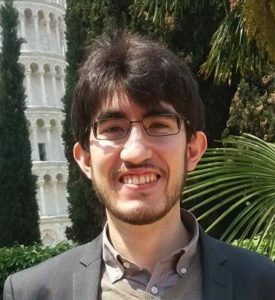 In 2018, he graduated in archival science at the Vatican School of Palaeography, Diplomatics and Archives Administration of the Archivum Secretum Vaticanum, and in library science at the Vatican School of Library Science of the Vatican Library. “In difesa della “medicina indigena”: Sibbald, Baglivi e la metodologia ippocratico-baconiana”, in Oeconomia corporis. The Body’s Normal and Pathological Constitution at the Intersection of Philosophy and Medicine, edited by C. Beneduce and D. Vincenti. Pisa: ETS, 2018, pp. 69-79. “Corpus fasciculus fibrarum: Teoria della fibra e pratica medica nel De praxi medica di Giorgio Baglivi”, Physis. Rivista Internazionale di Storia della Scienza, 2016, 51/n.s. 1-2:379-392. “Machines and Diseases: Giorgio Baglivi and his Mechanistic Physiopathology”, in Wired Bodies. New Perspectives on the Machine-Organism Analogy, edited by N.D. Cilia and L. Tonetti. Roma: CNR Edizioni, 2016, pp. 37-44. (with N.D. Cilia, eds.) Wired Bodies. New Perspectives on the Machine-Organism Analogy. Roma: CNR Edizioni, 2016. “La sfida della causalità alla pratica medica: il modello eziologico galenico e il dibattito medico tardoseicentesco,” in Percorsi evolutivi. Lezioni di filosofia della biologia, a cura di E. Gagliasso, F. Morganti, A. Passariello. Roma: FrancoAngeli, 2016, pp. 131-143.
Review of “R. Colombo (2014), De re anatomica libri XV. Anatomia, ed. by G. Baldo. Paris: Les Belles Lettres”, Nuncius. Journal of the Material and Visual History of Science, 2016, 31/3:656-659.
Review of “G. Baglivi (2015), Lo studio di un medico nel Salento del XVII secolo. A cura di C. Pennuto. Roma: Carocci”, Nuncius. Journal of the Material and Visual History of Science, 2015, 30/3:734-737. “Frogs’ Lungs and Malpighi’s Discovery of Pulmonary Capillaries”, Acta Phlebologica, 2015, 16/1:41-51.